cherries, green herbs and a hint of oak toast. On the palate the wine is medium bodied with flavors similar to that of the aromas. The wine has moderate silky tannins and excellent acidity that contributes to a long satisfying finish. This is a very harmonious wine where the components of flavor, acidity, oak and tannins are well balanced and integrated. 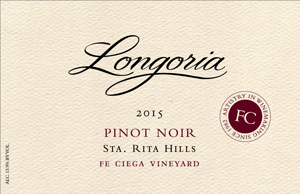 This Pinot Noir will pair well with a wide variety of foods, including lamb, duck and beef.